Kathleen Heugh is a socio-applied linguist who co-ordinates the English Additional Language major in the School of Communication, International Studies and Languages at the University of South Australia. She is also Extraordinary Associate Professor of Linguistics at the University of the Western Cape and Honorary Research Fellow at the Human Sciences Research Council of South Africa. 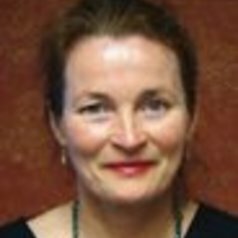 She has designed and taught MA and Post-graduate Diploma programs and courses on language policy and planning, bilingual and multilingual education and language acquisition at the Universities of Cape Town and Antwerp. During the 1980s and the 1990s she played a leading role in post-apartheid language policy development and was appointed to the first Pan South African Language Board (1996-2001). As a language education policy specialist and field researcher she has, since 2004, undertaken large-scale evaluation and assessment studies on languages and literacy in education in sub-Saharan Africa for UNDP, UNESCO and various international development agencies and governments. Together with Professor Christopher Stroud (University of the Western Cape and Stockholm University) she initiated the establishment of the Southern Multilingualisms and Diversities Consortium (SMDC) in 2014. The SMDC includes researchers and research organisations from Africa, Asia, Australia, Europe, Latin & North America who are concerned with how multilingual knowledges, practices and research expertise in 'southern' contexts contribute to global understandings of linguistic diversity.